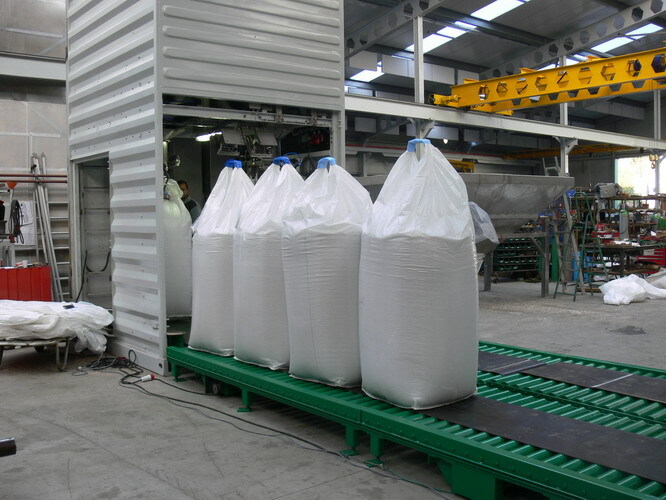 Capacity: 150 ton per hour: 250 big bags of 500-600 kg or 120 bags of 1000 -1500 kg per hour. Easy to install on any decided place. 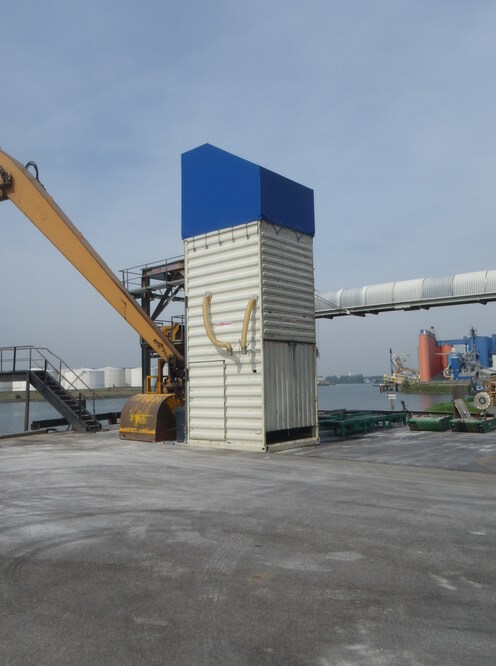 Usable at ship discharging places or inside buildings. 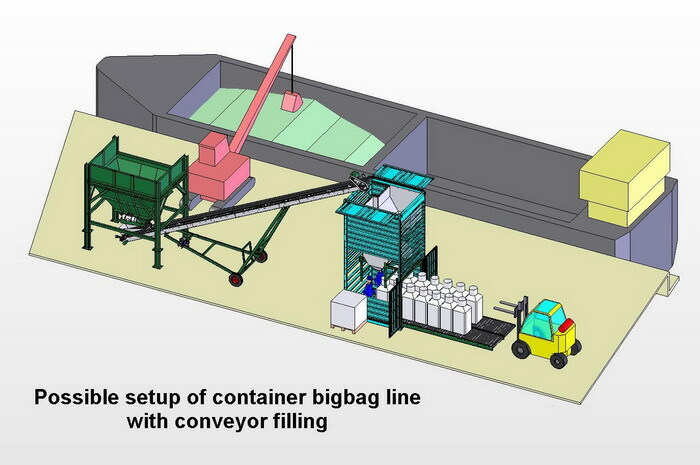 Portable Container FIBC Big Bag fill system with a capacity of 150 tons per hour. 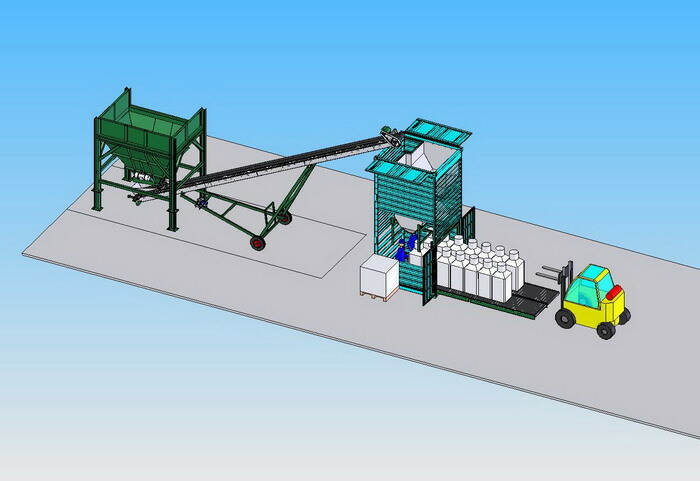 A big bag fill line that is completely integrated in a 20 ft (6 meter) container. The line is portable and can be moved to every decided place. 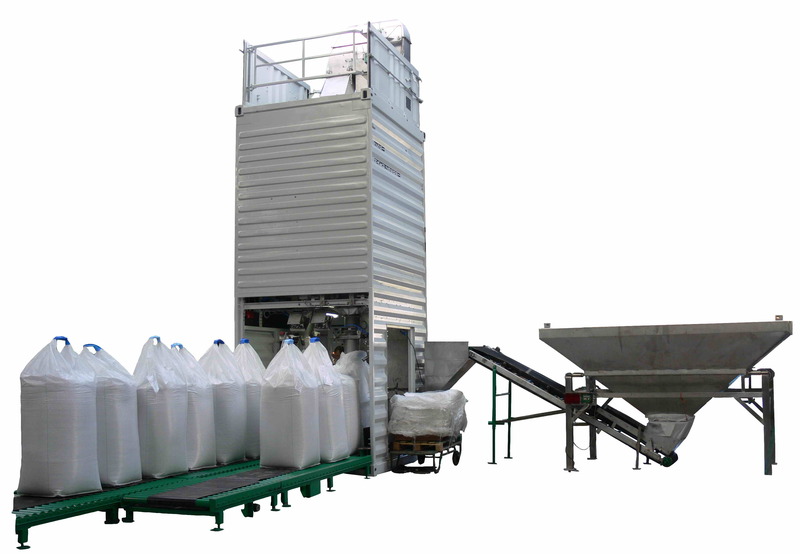 The system consists of a stainless steel fill elevator. And 2 weighing scales under the hopper, to weigh the product. 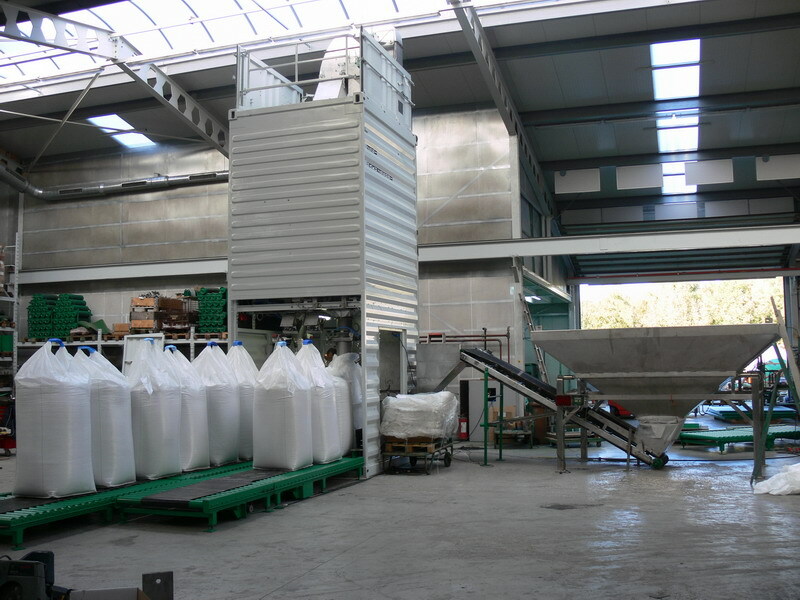 The 2 weighing slides discharge the product directly into the FIBC big bag. These big bags are removed by 2 roller conveyor units. 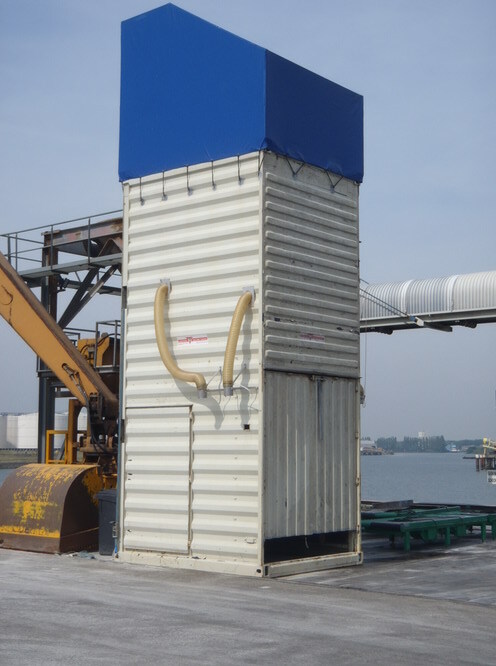 The container body is made of mild steel, but elevator, storage hopper, weigh scales and fill pipes are all constructed of stainless steel #304. 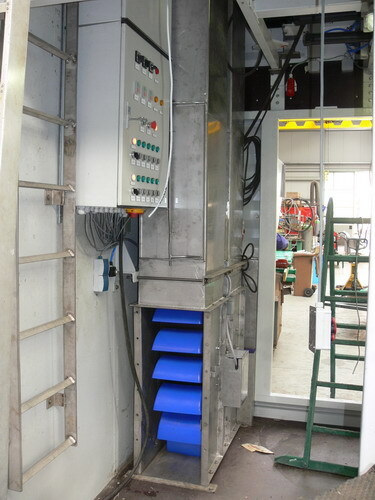 The machine operates with a Siemens control PLC and Salter Weightronix weigh indicators. 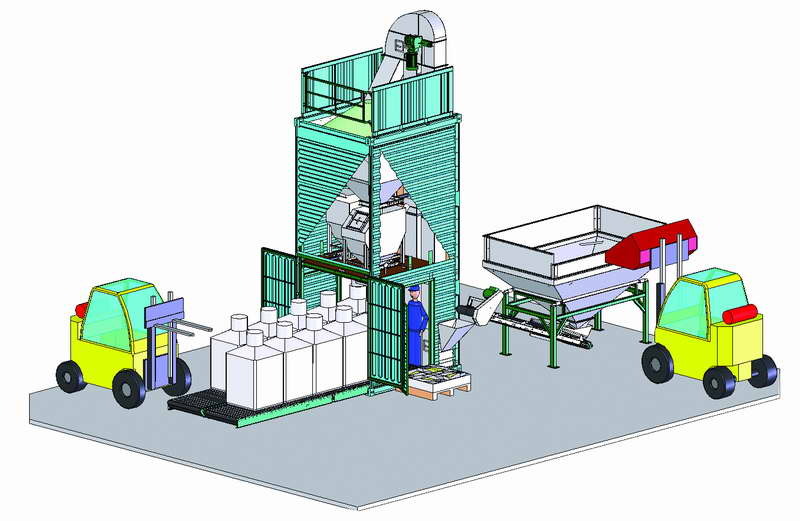 The complete bag fill operation can be done by 1 operator to fill the bags and 1 operator to close the bags. 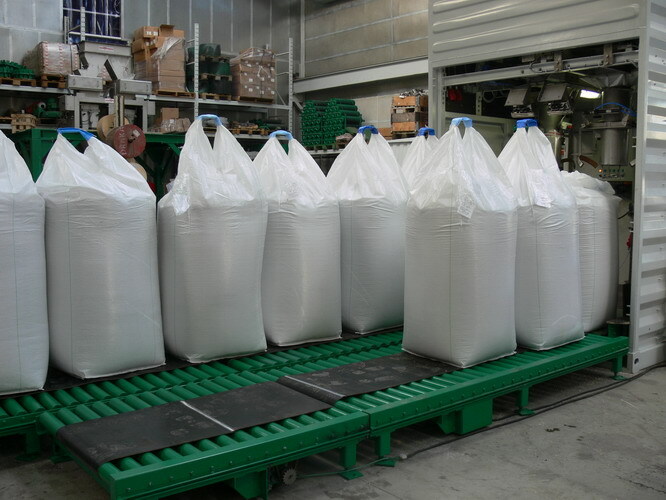 1 or 2 forklifts move the bags away (depending on the distance). The complete line is portable and can be moved by ship/truck and fits in two 20 foot containers. 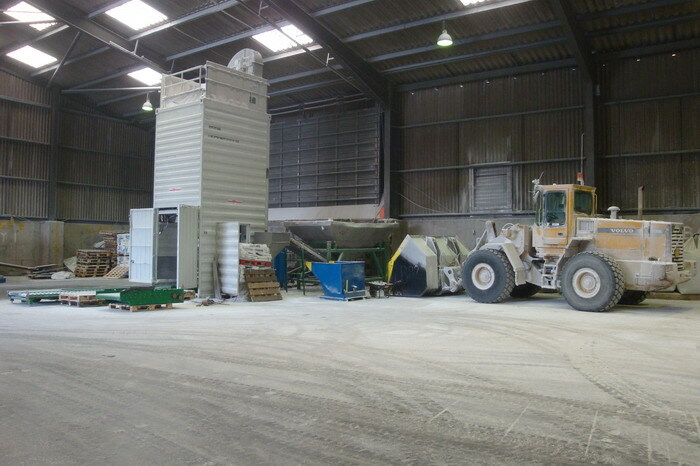 The compressor, intake hopper and bag roll conveyors are transported in the second container. Assembly of the container big bag line is easy to do. 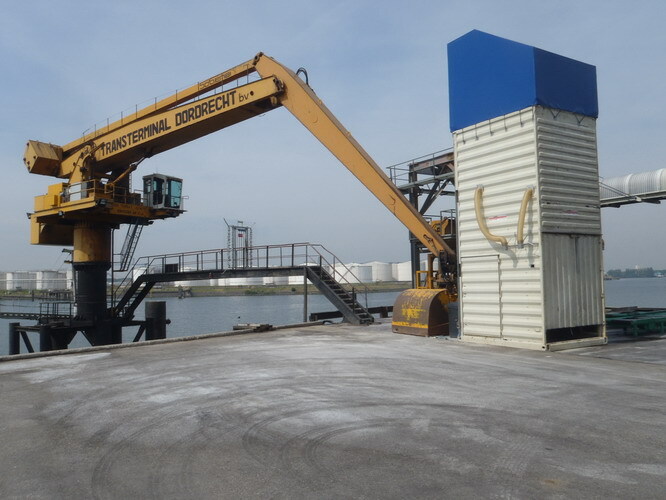 The elevator is pushed out of the container with a hydraulic system. 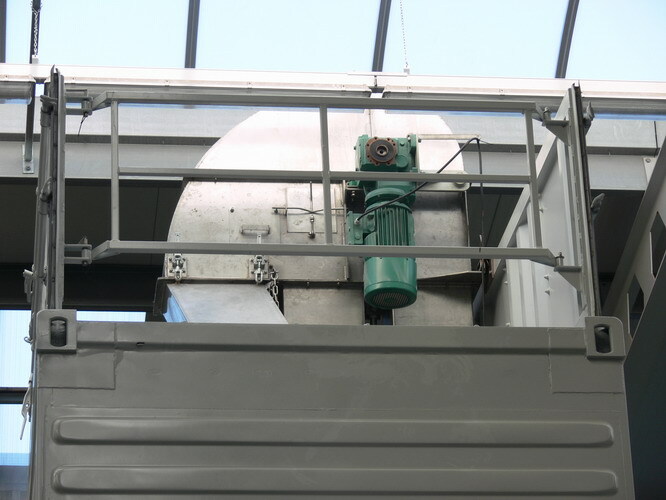 When the elevator is on its maximum height, the total system height is 8500 mm. 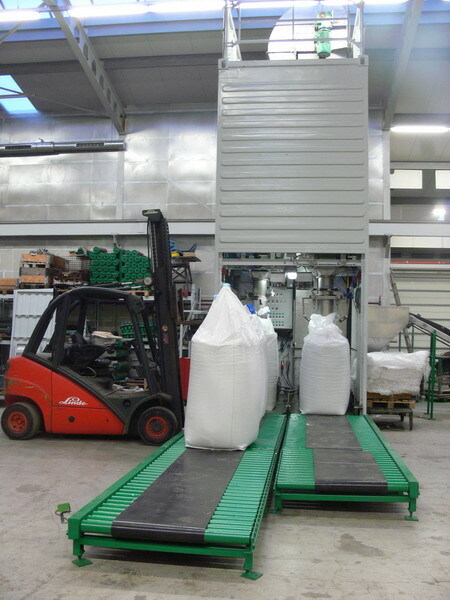 The roller conveyors, the intake conveyor and intake hopper are installed by a forklift. 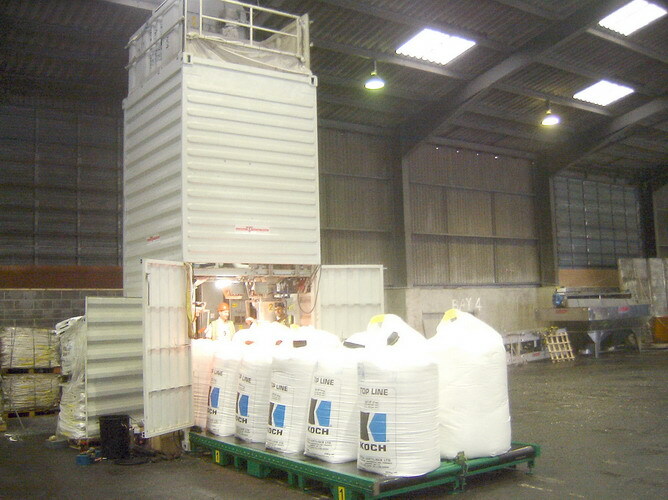 The container big bag unit is put on its side by means of a crane. 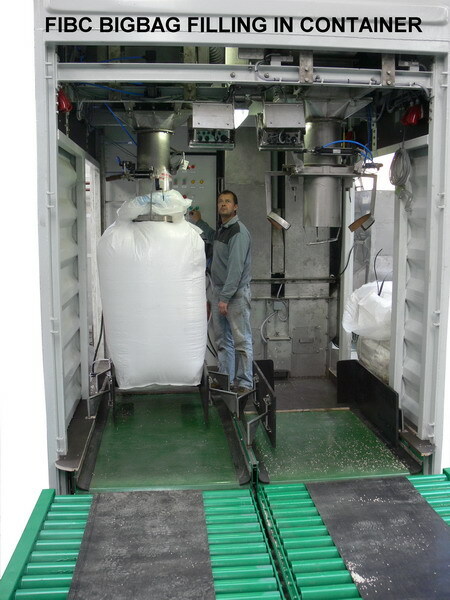 The container has 3 door openings to bring the big bags out and to have the possibility to bring empty big bags into the container.